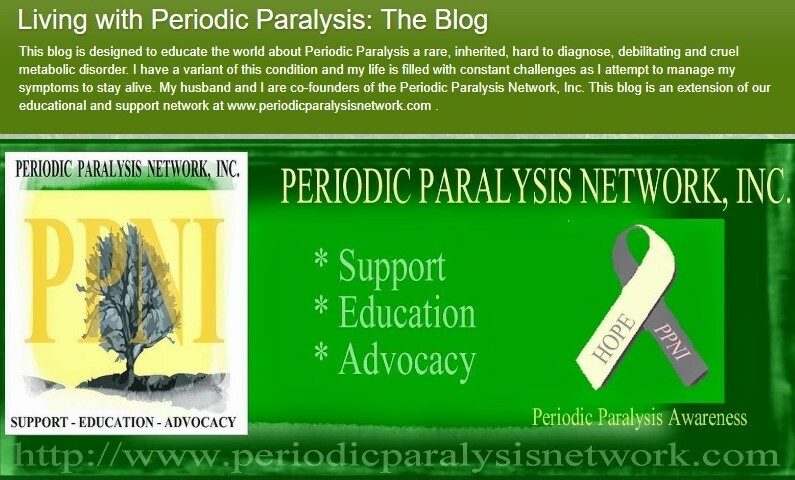 This blog was created and designed to educate the world about Periodic Paralysis a rare, inherited, hard to diagnose, debilitating and cruel mineral metabolic disorder. I have two variants of this condition and my life is filled with constant challenges as I attempt to manage my symptoms to stay alive. My husband and I are co-founders of the Periodic Paralysis Network, Inc. This blog is an.. The following is the plan for best managing our symptoms and paralysis in all natural ways. This information comes from research and trial and error. I was not able to handle drugs of any kind and was dying. Calvin saved my life using these methods and ideas and reduced my episodes of severe, full-body paralysis from 4 or 5 a day to one or two every several months, which are less severe and shorter in duration. This information and much more is in our books and other Blog Articles and in our Files. Different aspects of this are discussed daily in our support group. The first part of the article is how to stay balanced in all ways and the second part is about the dietary changes that will make a significant difference. I constantly discuss staying ‘totally balanced’ in all ways in order to manage our symptoms…but what does that mean exactly?? The following is my explanation. Periodic Paralysis is a Mineral Metabolic Disorder, which is also known as an ion channelopathy. This means that the levels of the minerals/electrolytes/ions in the blood can become abnormal or can fluctuate in error depending on several issues. There will be either not enough minerals in the blood or too many minerals in the blood. Many things we call ‘triggers’ can cause this for us including, but not limited to, drugs, IV’s anesthesia, some foods (junk food, processed foods-anything not natural), food fillers and dyes, exercise, exertion, temperature fluctuations, heat, cold, stress, sleep, sodium, sugar, carbohydrates. For those of us with varying forms of Periodic Paralysis, when a trigger is introduced in our bodies, the minerals shift and it causes many symptoms, most notably, periods of paralysis. These can be either partial or full-body. Therefore it is important for us to stay balanced. potassium (K+) Use potassium meter to monitor levels. Sugar/glucose: Use glucose meter (blood), follow a diabetic diet and eat smaller amounts more often to prevent sugar highs and lows. pH/acid/alkaline: Use pH strips (urine and saliva), follow a pH or alkaline balanced diet. Hydration/dehydration: Drink plenty of water, but not too much. Low or high levels of water/fluid affect mineral levels. Salt/sodium: Salt can be a trigger, use low sodium foods with care, the salt in those foods is replaced with potassium for flavor so will increase potassium levels. Body temperature: Use a thermometer. Fever can create symptoms. Heat and cold also causes symptoms. Vitamins: Any vitamin imbalance can create symptoms. Exercise/exertion: Too much exertion or exercise sets our symptoms into motion, it is important to know your own limits. Blood pressure: Monitor with a blood pressure wrist cuff. Blood pressure needs to be kept at normal levels. This can be done with diet and staying balanced. Oxygen levels: Monitor with finger pulse oximeters, below 95% the cells begin to be starved causing damage. If blood pressure is up or down, oxygen may be needed to avoid damage. Low oxygen levels prevent the cells from working properly and it affects the brain, heart and energy levels. Heartbeat: Monitor with finger pulse oximeters and blood pressure wrist cuff. If heart rate is too slow the heart has to work harder and the brain and other organs are not getting the oxygen they need and if the heart is beating too fast the organs and other tissue is being deprived of oxygen. Carbohydrates: Too many carbohydrates in a meal affect HypoKPP, but HyperKPP needs more carbohydrates in the diet. Sleep: A lack of sleep causes chemical imbalances in the body and affects insulin levels, among other issues. Stress (good or bad): This causes adrenaline to rise, which lowers potassium levels and also affects insulin levels. Drugs/medications/over-the-counter: Avoid at all cost. These will cause serious imbalances in many different ways, depending on their composition and our form of Periodic Paralysis and co-existing conditions. If we can keep our bodies in balance, we can minimize our symptoms and improve our quality of life. It is a constant battle and not easy but the results are well worth it. We equate it to constantly walking a tightrope. This form helps to monitor the above issues in order to stay in balance. The following article will give more information about how to monitor your vitals. Lifestyle changes are difficult at first, but the results are well worth the effort. I have regained my life in most ways by avoiding the triggers of my paralytic episodes and by changing how and what I eat. Many of us with various forms of Periodic Paralysis cannot get medications and/or cannot take them. A few years ago I was basically dying due to this fact. Calvin and I researched and experimented and discovered the best way to reduce my periods of full body, total paralysis lasting hours at a time and occurring four to five times a day and all night, was with a pH balanced diet, also know as an alkaline diet. We added supplements and I avoided all of my triggers except sleep (have to sleep) and began to use oxygen for my exercise intolerance. By the end of 6 months, my episodes were reduced to 1 or two a month and I had lost 25 pounds, my A1C levels were down to normal ranges and my cholesterol levels had been reduced significantly. I was able to function more normally and continue to be much better than when I started the diet three years ago. Now that I have become balanced, I find I have needed to add a bit more salt, sugar, carbohydrates and fats and am able to cut back on the supplements. The 70/30 eating rule is the most important of the group. We have it posted on our refrigerator along with the acid and alkaline ratings of particular foods. Periodic Paralysis is not curable but we believe it is manageable, in part, by the things we consume and the things we avoid. Highly acidic chemicals and food can trigger potassium shifting. The relationship between potassium shifting and metabolic acidosis is quite real and should be taken very seriously in order to avoid life-threatening complications. The goal is consume much more alkaline and much less acid. When Calvin discovered I had metabolic acidosis and was unable to take any medication, he began to search for ways to save my life. He had discovered that the pH balance in my body was unbalanced with too much acidity. He set out to increase the alkaline in my body. He found a website with a chart containing the pH balance of the most common foods. 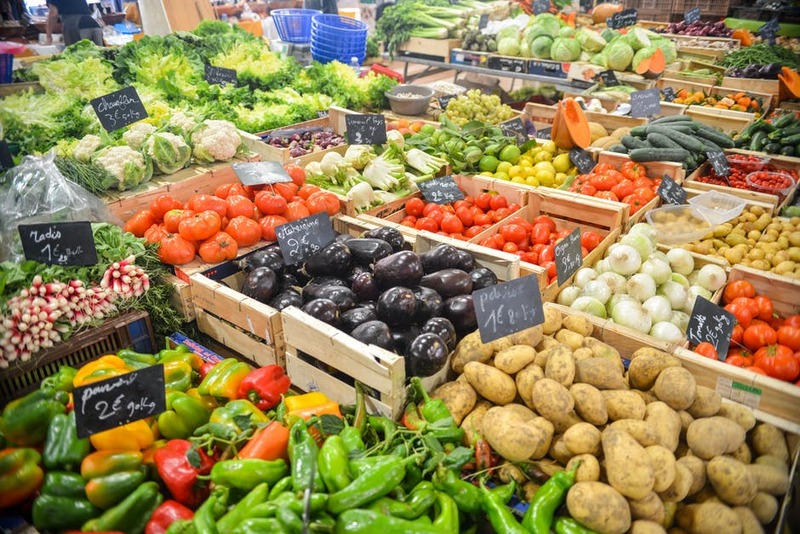 With the chart in hand, he hurried to the store and bought as many of the foods containing alkaline he could find, mostly vegetables. Then he found our juicer and made a vegetable and fruit drink for me every morning, he prepared fresh vegetables for my lunch and made a fresh salad for my dinner. He cut out almost all foods with acidity. It was difficult for me so he decided to eat the same diet with me. Soon I was doing better. I grew stronger, the attacks of paralysis decreased in number and severity and by the time six months had passed, we both lost twenty pounds and our cholesterol levels were decreased and sugar levels were down in the normal ranges. While attending a visit with one of my diagnosing doctors, we told him about the diet and how it had helped me. He said that we were now, “Eating to live and no longer living to eat”. He was so right! What we had discovered was the body has a natural pH balance. It is 70% alkaline and 30% acidic. Any deviation from this may cause an imbalance. Any imbalance in the body causes stress and may trigger symptoms or paralysis. If the body becomes too acidic, metabolic acidosis may occur. Too much alkaline in the body can also be a serious problem causing dehydration. With this in mind, each meal eaten should contain 70% alkaline food and 30% acidic food. There are several good websites on the Internet with charts listing foods high in acidity and high in alkaline. These sites also have instructions for how to follow the diet and recipes for preparing healthy dishes. Links to these sites can be found on our website Periodic Paralysis Network. The best way to follow a pH balanced diet is to remember to, “Eat from the farm; not from the factory”. This is because most junk food and processed foods are packed with substances, which are acidic or naturally more acidic. Meat is also a more acidic food. Another way to remember how to shop in order to keep the body pH balance is to stay out of the center isles in the grocery store. The good and healthy foods are always on the outer lanes of the store. That being said, it is best to remember the word “balance”. It is easy to be afraid to eat too much alkaline and forget to eat the 30% acidity. With that in mind, and remembering an individual’s triggers, some food with acidity is permitted. We suggest that when purchasing the food for the pH balanced diet it should be organically grown and processed as much as possible. There are several reasons. The most important is to avoid additives, hormones and pesticides, which can possibly be triggers. If not triggers, they may cause illness and indirectly be triggers for paralytic attacks. Most cows and cattle (and other animals we eat) are given hormones and antibiotics, unless organically raised. The dairy products and meat from these animals will contain a certain amount of them. If antibiotics or hormones are triggers for an individual, he or she may not be aware that those will be found in the milk, cheese or meat they eat. Without realizing it they may be ingesting them, thus creating episodes of paralysis and not knowing why. The same thing applies to our drinking water. The hormones, antibiotics and other medications passed from humans and animals into our water supply are remaining even after the water is purified. Individuals with Periodic Paralysis may not realize they are actually ingesting these medications, hormones and antibiotics in drinking water. For this reason, we suggest using a distiller to process drinking water. It is the only way to have pure drinking water, unless the water is from a good well, which has been tested and found free of all contaminants. Extracting nutrients from natural food sources is much more affordable and convenient today with the use of a nutrients extractor. NutriBullet is the kitchen tool we use to turn raw vegetables, fruits, nuts and seeds into liquid drinks that help optimize metabolism, overall health and pH balance on the alkaline side. “Balance” is the most important word in our plan. If just one thing is out of balance, it can mean the difference between life and death in some cases. Besides the 70/30 balances in our diet, the other elements in our body must be in balance also, especially the elements or minerals (sometimes called electrolytes). This is due to the fact that Periodic Paralysis is a mineral metabolic disorder and when the minerals are out of balance, paralysis will occur. Some of these elements are calcium, magnesium, sodium, potassium, chloride, and bicarbonate. That being said, however, salt (sodium) may be a trigger for paralytic episodes for most individuals. Due to that fact many of us avoid it like the plague. If we do not eat any salt then our body will get out of balance and episodes of paralysis or other symptoms may develop. So we must carefully ingest some sodium for that balance. This also includes natural sugar and some fats and oils. These are also needed in our body, but care must be given to how much we eat of them in our diet and which types. Natural sugars in fruits would be a better choice than white processed table sugar. Olive oil is a better choice than vegetable oil. Monounsaturated fats and polyunsaturated fats are a better choice than saturated fats. I discovered these things the hard way. After many months of not eating salt, sugar, carbohydrates and fats and oils, and experiencing great improvement with almost no paralytic episodes, I suddenly got very ill and began to have more episodes of severe paralysis. I became extremely weak and overall quite ill. After researching it, I discovered I was probably suffering from too much alkalinity and an imbalance of electrolytes and my body needed some sugar and some fats. I decided that I needed to carefully re-introduce these things back into my diet, one at a time to monitor for problems. I began to feel better, the paralytic episodes decreased and I regained my strength. I am still very careful, but I now enjoy better balanced diet. “Balance” is the key! We are often asked to describe the pH balanced diet discussed in our book living with Periodic Paralysis: The Mystery Unraveled, also known as the alkaline diet. Before discussing this diet we must first explain that there are different diets typically recommended for Hypokalemic Periodic Paralysis and Hyperkalemic Periodic Paralysis. The diet recommended for Hypokalemic Periodic Paralysis is basically a low sodium, low carbohydrate and high potassium diet. The recommended diet for Hyperkalemic Periodic Paralysis is basically a high carbohydrate, low potassium and low sodium diet. For all types of PP fasting should be avoided and care should be taken to avoid dips or increases in sugar levels. It is important to remember, however, that Periodic Paralysis is a mineral metabolic disorder and our bodies can easily become out of balance. So keeping the above diet guidelines in mind, we must also keep our pH levels in balance. The most important thing to remember is the 70%-30% part of the diet. This means 70% alkaline and 30% acid. Then you must factor in the organic and natural issues. There are many websites that have charts, recipes and menus for the alkaline diet also known as the pH diet. The 70/30 is the balance between acidity and alkaline that our body must maintain to keep us alive and well. If we are too acidic or too alkaline we become ill as discussed earlier. The foods with the most alkaline are fresh green vegetables, grasses, sprouts, peas, beans, lentils, spices, herbs and seasonings, and seeds and nuts (mainly almonds). Foods that are more acidic (eat sparingly) are meat, fish, poultry, dairy products, eggs, grains, and legumes. Balance is the important word when it comes to putting a meal together and for snacking. We also need to remember the sugar, salt (sea) and oil/fat content of the foods we eat. Do not entirely eliminate them just use sparingly. Processed foods have these things and chemicals so eat as fresh and organic as possible. I cannot eat gluten and try to use dairy products sparingly, so my diet is even more restricted. I eat a great deal of raw vegetables and salads. A salad will contain greens, tomatoes, avocados (at each meal if possible) cucumbers, carrots, celery, sprouts, mushrooms, peppers, nuts (almonds), seeds (pumpkin and sunflower) all about 70% and then I add a few things like, a few bites of chicken or beef or pork, maybe some cheese, a few olives and olive oil and vinegar or lemon (30%). I use a NutriBullet and add a mixture of 30/70 including nuts and seeds and coconut milk. In my refrigerator I have a mixture of shredded fresh beets (purple and/or golden), carrots, turnips, rutabagas and parsnips. When I want a snack or even for breakfast, I put some in a bowl and add some oil and vinegar and eat it just like that or sometimes I add some nuts, raisins and dried coconut with some low fat sour cream (organic). I also put some on my salads. I buy many vegetables and have them washed and cut and in containers ready to grab when I need or want a snack. For my dinners, I usually eat a big salad, or a 70/30 meal. 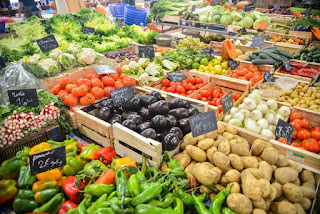 70% vegetables (which can be cooked but best if raw due to becoming more acidic when cooked or processed) that can be a small salad, sometimes some sweet potato or regular potato (with butter; it is neutral pH) a few bites of meat/fish/poultry. I do occasionally make a casserole type meal keeping in mind the 70/30 rules. Stir-fry dishes are easy to make into a 70/30. My biggest problem is trying to do breakfast at 70/30. Oatmeal or brown rice is not the best but I add nuts, seeds, coconut and dried fruit or fresh berries. A nice salad for breakfast is another option. Occasionally I add some of my favorite acidic things in a (or to a) meal as part of the 30%. This way I do not feel deprived. I can eat some things I enjoy and I am not missing out on what everyone else or Calvin is eating. I will use pasta (brown rice or corn or a mixture of both) to make spaghetti and then eat more of the sauce and vegetables or a salad. In that way I do not feel cheated or left out. You can basically eat whatever you want that is not a trigger as long as you use the 70/30 rules. It is just incorporated into the 30% part of the meal. The weekly diet chart should be an aide with meal planning. The alkaline diet takes some time for planning, purchasing and preparing the food. It is best to have it all done ahead of time and ready to easily grab as needed. Be sure to allow yourself enough time for these things in order to avoid or reduce stress. Besides shopping in specialty stores and cooking from scratch, you may also decide use things like a sprouter for seeds and beans, or a food dehydrator. You can even choose to grow your own organic garden! The third and final part of managing our symptoms and paralysis includes discovering our triggers or the causes of them and then simply avoiding them. The following links are articles about how to figure out those triggers or causes. This subject comes up every day, every time I add a new person to our Periodic Paralysis Network Support Group. I tell them that we do not discuss drugs because they are out worst triggers and for liability reasons (we do not want to be sued). I tell them that we only discuss them in the terms of how harmful they can be for us. This is because PP is a mineral metabolic disorder. This means that we must keep our body in total balance and drugs cause imbalances for us, among other issues. We discuss only natural ways to manage our symptoms. This information can be found in other Blog Articles and our books and is discussed daily on the Support Group. Today, a new member posted about a reaction she had to a simple aspirin. I wanted to respond and remembered what happened to me when I took a simple Alleve/Naproxen, knowing better at the time, but wanted some relief from some extreme pain I was experiencing. I did a little research to remind myself of the ingredients in Alleve and why I thought I had a reaction to it. I was shocked at what I found about the side effects, that are listed for medical professionals, but not necessarily for the consumer. I want to share my response. It is very important for people with Periodic Paralysis. This is just one example of why we should not take drugs. This is just a simple over-the-counter drug! Imagine the issues related to those that are not 'simple' drugs! All of us with PP must be extremely careful of anything we put in our mouth....even a simple over-the-counter Alleve!! I took an Alleve (Naproxen) once a few years ago when I was in more pain than usual. (I have been in body wide pain since I was a teenager...so my pain was really bad that day...I do not ever take anything for it...I just live with it. Over the years, the prescriptions I tried caused all types of issues from passing out, to ataxia, to paralysis, etc ) I was hoping that it would not cause a problem...within an hour I was in full body, total paralysis lasting for hours. Later, when I was able to move again, I checked the label and noticed that it had sodium in it. I assumed it was the sodium level that was too much. However, I just checked/researched for writing my response and found the following list of things that can happen from a simple Alleve tablet...just for normal people...imagine what I thought just now as I saw "HYPERKALEMIA" as a side effect of it!!!! And MUSCLE WEAKNESS!!!!! And SOMETIMES FATAL!!!!! No wonder that happened to me!! With ATS (Andersen-Tawil Syndrome) I have problems with low or high potassium or even if it just shifts while in normal ranges!!! Check it out for yourself...This list is what health professionals see, but not what the general public sees. Scroll down to 4.8 Undesirable effects. All of us will PP must be extremely careful of anything we put in our mouth...even a simple Alleve!! I don't make this stuff up...I just try to pass the truth along to keep everyone safe!! 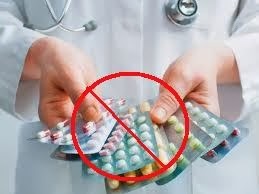 Those of us with PP should not take drugs of any form including over-the-counter remedies! Happy Eighth Anniversary to PPN!!! Our Mission Statement: The Periodic Paralysis Network exists to assist individuals who have Periodic Paralysis with support, education and advocacy and by providing a hands-on approach to understanding the disease, getting a proper diagnosis, managing the symptoms in all natural ways, and assisting their caregivers and family members. "Living With Periodic Paralysis: The Mystery Unraveled"
"The Periodic Paralysis Guide And Workbook: Be The Best You Can Be Naturally"
"A Bill Of Rights For Periodic Paralysis Patients"
"What Is Periodic Paralysis? : A Disease Like No Other"
Periodic Paralysis Network, Inc. ~ Sequim, Washington U.S.A.
Providing HOPE to Over 850 Members Now!! If you have or think you have a form of Periodic Paralysis please join us on our PPN Support Group. Also, be sure to have a look at our fresh and updated PPN Website. Providing HOPE to over 825 members!! Periodic Paralysis Network Support Group!! Happy Fifth Anniversary to Our PPN Blog!! 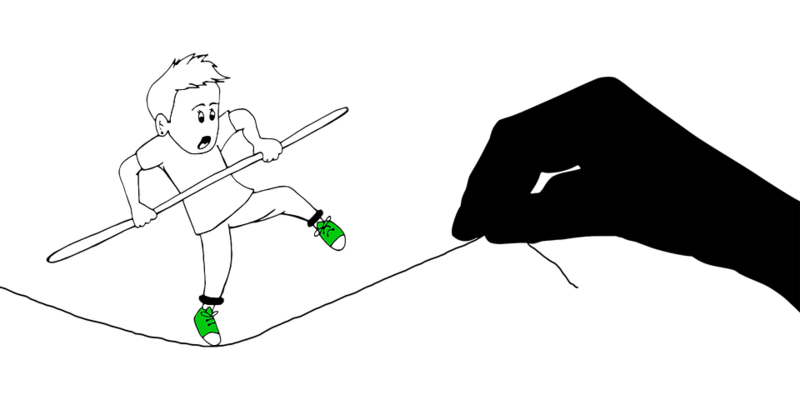 It has been five years since I created and wrote my first article in our Periodic Paralysis Network (PPN) Blog, Living With Periodic Paralysis: The Blog. I decided because our PPN Support Group was open to only those who have PP and their family members, that we needed another format for sharing information about Periodic Paralysis (PP) and for bringing more awareness to this rare, little understood, disabling and cruel medical condition, which is a mineral metabolic disorder. Since that day, over 150 articles have been written and shared about every aspect of Periodic Paralysis from what it is, to how to manage the symptoms and how to get a diagnosis. Welcome to our new blog!!!! It is our desire to share with the world everything and anything we can about Periodic Paralysis with the hope of educating and supporting others with the condition and educating others who do not have it but would like to know about it, including doctors and medical professionals. I began a blog several years ago and wrote daily for over a year, but it was a closed blog, as is our support group, so only our members could read what I wrote. We have been looking for a way to be able to reach more people with our important information, so decided it was time to create a new blog and open it up to the world!!!! Please feel free to ask questions and share your experiences with us. I am Susan Q. Knittle-Hunter and my husband Calvin Hunter. We are passionate about helping others with Periodic Paralysis and sharing information about it. Periodic Paralysis is very rare, hereditary, debilitating, difficult to diagnose, mineral metabolic disorder, also known as an ion channelopathy. I have a form of it and was 62 years old when I was finally diagnosed, 3 (now 8) years ago, after suffering the effects of it nearly my entire life and nearly dying from the wrong diagnoses and incorrect treatments I received. Calvin Hunter and I are the founders and creators of an on-line independent organization, the Periodic Paralysis Network, a private educational, support and advocacy organization, which is patient-safety-related due to the serious nature and potential life-threatening symptoms and side effects of this condition if it is not treated correctly. We have a website with a forum containing 3 distinct discussion groups and we have written and published two books, the only two (now 4) books written about Periodic Paralysis...Living With Periodic Paralysis: The Mystery Unraveled, which is an extension of our website and a workbook...The Periodic Paralysis Guide and Workbook: Be The Best You Can Be Naturally. We work towards the improvement of the quality and safety of patients from all over the world with the various forms of Periodic Paralysis. Our focus is on educational resources to build self-reliance and self-empowerment and to prevent possible harm from improper treatment. Our approach to treatment focuses on the self-monitoring of vitals and the management of symptoms through natural methods. We also offer strategies to understanding the disease, getting a proper diagnosis, managing the symptoms, and assisting caregivers and family members. We have members from all over the world, (Iran, Ukraine, Turkey, Denmark, Wales, Netherlands, Canada, Finland, Australia, and more) who are seeking help for themselves, their children and entire families and are unable to find it anywhere. We provide ideas on how to find doctors, get a diagnosis, get the proper help in the ER, how to discover their triggers and much more. Periodic Paralysis is often misdiagnosed and mistreated, thus causing more damage or possible death to the person with it. There are several types: Hypokalemic Periodic Paralysis (low potassium), Hyperkalemic Periodic Paralysis (high potassium) and the type I have, a variant of Andersen-Tawil Syndrome (ATS), is the most rare and the most serious type. Long QT interval heartbeats can accompany the episodes. On a cellular level, triggered by things such as sleep, exercise, sugar, salt, most medications, stress, cold, heat, anesthesia, adrenaline, IVs, etc., potassium wrongly enters the muscles either temporarily weakening or paralyzing the individual. Episodes can be full body lasting hours or days. Permanent muscle weakness may occur over time. If it affects the breathing muscles it can become terminal. 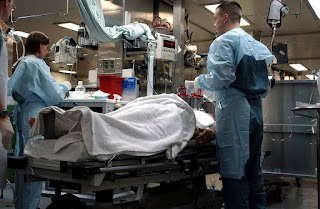 Dangerous heart arrhythmia, heart rate fluctuation, blood pressure fluctuation, choking, breathing difficulties, cardiac arrest and/or respiratory arrest can also accompany the episodes. Due to these complications, it is extremely important to avoid the episodes. There are no known cures, but there are treatments/drugs for some forms, which can be and are successful for some individuals (but the side effects over time can be and are harmful). The type I have, Andersen-Tawil Syndrome (ATS), however, has no traditional medications, which can alleviate the symptoms, but by avoiding the triggers and by using some natural methods, the number of paralytic episodes can be reduced and the severity of the episodes can be lessened. Due to many wrong diagnoses and improper medications, I am severely disabled in a power wheelchair and on oxygen therapy 24/7. I was having episodes 4 to 5 times a day but now, with the natural methods have been able to reduce the number to about 1 or 2 a month (Now once or twice a year) during my waking hours (sleep is my biggest trigger so I continue to have them every night as I sleep) with less severity and for shorter periods of time. Calvin's tireless research discovered these methods and saved my life. I earned B.S. degrees in Psychology and Special Education at the University of Utah and spent many years as a teacher and case manager working with children and adults with disabilities. Calvin earned B.S. degrees in Behavioral Science and Psychology at Westminster College and the University of Utah. He also holds a M.Ed. degree in Special Education and M.S. degree in Information Technology from the University of Utah and Capella University. Calvin worked in a variety of fields including teaching, corrections and case management. We are now retired and enjoy the peace and beauty of the forest in our new home on the Olympic Peninsula in Washington. We live with two spoiled cats and plenty of wildlife. We are presently writing our next books and continue to work daily to help others with PP. In his spare time, Calvin enjoys working with wood and tends our organic garden while I enjoy genealogy research and reading historical romance novels. We have three children and five grandchildren. 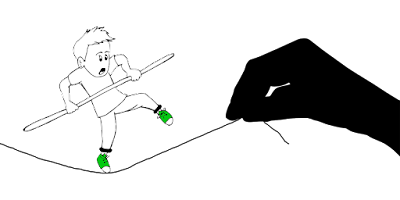 Please join us often for a new lesson or story related to Periodic Paralysis. Please feel free to ask questions and share your experiences with us. Over the past five years we feel that we have been successful in our endeavors to educate the world about Periodic Paralysis. On the day we posted our first article five years ago, we had less than 150 members. Today we have over 800 members from all over the world! Some of them joined us after finding our Blog. How Many People Really Have Andersen-Tawil Syndrome?? More than 100!! http://livingwithperiodicparalysis.blogspot.com/2017/10/how-many-people-really-have-andersen.html How To Manage Our Periodic Paralysis Symptoms Naturally: Total Balance And Proper Diethttp://livingwithperiodicparalysis.blogspot.com/2017/10/how-to-manage-our-periodic-paralysis.html Periodic Paralysis: Secondary Causes??? http://livingwithperiodicparalysis.blogspot.com/2017/10/periodic-paralysis-secondary-causes.html Balance and Periodic Paralysis http://livingwithperiodicparalysis.blogspot.com/2017/10/balance-and-periodic-paralysis.html Warning About Free Genetic Testing For Periodic Paralysis http://livingwithperiodicparalysis.blogspot.com/2017/09/warning-about-free-genetic-testing-for.html Hope And Living With Periodic Paralysis, A Chronic Illnesshttp://livingwithperiodicparalysis.blogspot.com/2017/09/hope-and-living-with-periodic-paralysis.html Now providing HOPE, SUPPORT, EDUCATION and ADVOCACY to over 700 members worldwide!! !http://livingwithperiodicparalysis.blogspot.com/2017/09/now-providing-hope-support-education.html RARE Champion of Hope Awardhttp://livingwithperiodicparalysis.blogspot.com/2017/09/rare-champion-of-hope-award.html Providing HOPE, SUPPORT, EDUCATION and ADVOCACY to over 650 members! 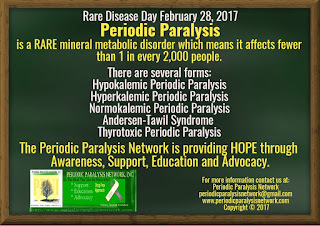 !http://livingwithperiodicparalysis.blogspot.com/2017/03/providing-hope-support-education-and.html Rare Disease Day February 28, 2017http://livingwithperiodicparalysis.blogspot.com/2017/02/rare-disease-day-february-28-2017.html Best Way to Share Awareness of Periodic Paralysis With Othershttp://livingwithperiodicparalysis.blogspot.com/2017/02/best-way-to-share-awareness-of-periodic.html Periodic Paralysis World Awareness Day 2017http://livingwithperiodicparalysis.blogspot.com/2017/02/periodic-paralysis-world-awareness-day.html PPN Sixth Anniversary of Providing HOPE!!! !http://livingwithperiodicparalysis.blogspot.com/2017/02/ppn-sixth-anniversary-of-providing-hope.html Providing HOPE to over 625 Members Now!! !http://livingwithperiodicparalysis.blogspot.com/2017/01/providing-hope-to-over-625-members-now.html Bringing Hope To Over 600 Members Now! !http://livingwithperiodicparalysis.blogspot.com/2016/11/bringing-hope-to-over-600-members-now.html Over 575 Members!! 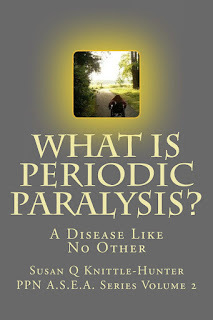 http://livingwithperiodicparalysis.blogspot.com/2016/09/over-575-members.htmlOur Newest Book: "What Is Periodic Paralysis? : A Disease Like No Other"http://livingwithperiodicparalysis.blogspot.com/2016/09/our-newest-book-what-is-periodic.html Congratulations Periodic Paralysis Network!!! Over 50,000 views!!!!! http://livingwithperiodicparalysis.blogspot.com/2016/07/congratulations-periodic-paralysis.html 550 Members!!! http://livingwithperiodicparalysis.blogspot.com/2016/07/550-members.html Over 525 Members!! http://livingwithperiodicparalysis.blogspot.com/2016/05/over-525-members.html This is good news and bad news!!! We now have over 500 members!! http://livingwithperiodicparalysis.blogspot.com/2016/04/this-is-good-news-and-bad-news-we-now.html Rare Disease Day Photo http://livingwithperiodicparalysis.blogspot.com/2016/03/rare-disease-day-photo.html What is Periodic Paralysis?? For "Rare Disease Day" http://livingwithperiodicparalysis.blogspot.com/2016/02/v-behaviorurldefaultvmlo.html Happy 5th Anniversary PPN and Periodic Paralysis Awareness Day!! http://livingwithperiodicparalysis.blogspot.com/2016/02/happy-5th-anniversary-ppn-and-periodic.html Periodic Paralysis Awareness Campaign!! http://livingwithperiodicparalysis.blogspot.com/2016/02/periodic-paralysis-awareness-campaign.html475 Members!!! http://livingwithperiodicparalysis.blogspot.com/2016/01/475-members.html Average Number of Paralytic Attacks Per Year? 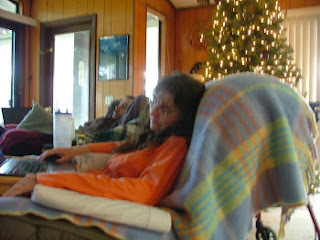 http://livingwithperiodicparalysis.blogspot.com/2016/01/average-number-of-paralytic-attacks-per.html Normokalemic Periodic Paralysis Update http://livingwithperiodicparalysis.blogspot.com/2016/01/normokalemic-periodic-paralysis-update.html Periodic Paralysis World Awareness Day February 7, 2016 http://livingwithperiodicparalysis.blogspot.com/2016/01/periodic-paralysis-world-awareness-day.html Periodic Paralysis And Co-existing Medical Conditions http://livingwithperiodicparalysis.blogspot.com/2016/01/periodic-paralysis-and-co-existing.html 450 Members!!!! http://livingwithperiodicparalysis.blogspot.com/2015/12/450-members.html Happy Second Anniversary For Our PPN Blog!! http://livingwithperiodicparalysis.blogspot.com/2015/11/happy-second-anniversary-for-our-ppn.html Permanent Muscle Weakness (Revised) http://livingwithperiodicparalysis.blogspot.com/2015/10/permanent-muscle-weakness-revised.html Invisible Illness Week!! 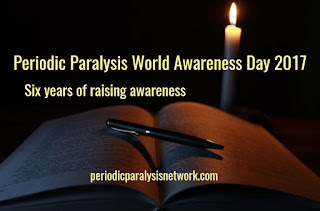 Periodic Paralysis Awareness!! http://livingwithperiodicparalysis.blogspot.com/2015/09/invisible-illness-week-periodic.html Our Latest Book: "A Bill Of Rights For Periodic Paralysis Patients" the first in our A.S.E.A.Series http://livingwithperiodicparalysis.blogspot.com/2015/09/our-latest-book-bill-of-rights-for.html "New" Drug For Periodic Paralysis $163.80 For One 50mg Tablet!! (Revision) http://livingwithperiodicparalysis.blogspot.com/2015/09/new-drug-for-periodic-paralysis-16380_17.html Over 425 Members Now!!! http://livingwithperiodicparalysis.blogspot.com/2015/09/over-425-members-now.html The Truth About The “New”..
PP is so very complex..... It is confusing.....there are different forms...the cause of the symptoms and paralysis are due to different processes. Some of the symptoms are the same and some are different. Most members join us with an idea of the form they have. But confusion comes if we have other medical conditions. Then the symptoms can be different or worse. Also the triggers that set our symptoms into motion can make the symptoms different. Drugs can add to the confusion and are our worst triggers. Providing HOPE, SUPPORT, EDUCATION and ADVOCACY to over 775 members worldwide! We at the Periodic Paralysis Network are now providing HOPE, SUPPORT, EDUCATION and ADVOCACY to over 775 members worldwide!!! We added another 25 members in the past month!! We have over 150 blog articles written about all aspects of Periodic Paralysis.The Blog was created to provide information to all of our members, as well as, family members, friends and medical professionals who want to know more about Periodic Paralysis. We have a discussion board to discuss specifically the issues and aspects of Periodic Paralysis found in our books. This group was designed for discussion and research into the genealogy of those families with Periodic Paralysis in the hopes of finding links and perhaps a new way to get a diagnosis. The Periodic Paralysis Network Inc. (PPNI) Genetics Discussion and Research Group is designed for discussion and research into the genetics of the many forms of Periodic Paralysis. We have web cam or live video group sessions periodically for education, support and discussion. Please watch for announcements and invitations to RSVP. The Periodic Paralysis Caregiver Group is designed to assist the caregivers of those individuals with Periodic Paralysis. This could include parents, children, siblings, friends, grandparents or anyone else who is responsible to care for anyone who has any form of Periodic Paralysis. This group is an extension of the Periodic Paralysis Support Group. This group is designed for those who have Periodic Paralysis and other co-existing conditions. The PPN Support, Education and Advocacy Group is geared for discussions about Periodic Paralysis only. This 'PP Buddies Group' is designed for members of the PPN Support, Education and Advocacy Group. Anyone can join who may need help or assistance in the ER or in an emergency and anyone who would like to 'buddy with' or help them at those times. We do not want to see anyone who is frightened or new to PP, have to go through these experiences alone. Using IM, Chat, Skype or exchanging phone numbers ahead of time may be helpful. Our PPN Facebook Page is designed to share more general information and articles related to Periodic Paralysis, Chronic Illness and Invisible Illness. It is also designed to share with family members and friends to provide them with a better understanding about PP, chronic and invisible illness. Fun posts shared relating to writing and reading books. This page was created to bring awareness to the world about Periodic Paralysis. We have declared and observe 'Periodic Paralysis World Awareness Day' February 7th each year! Let us know if you want to be added to our map! Recently there has been some question about the prognosis for those of us with Periodic Paralysis (PP). Some say that they have read that it is "NOT life-threatening." The following articles refute this misperception. Some PP literature perpetuates the misinformation that PP is not Life Threatening. This is very scary for us. Doctors and others need to understand that we can die during episodes. "Although periodic paralysis may be considered a benign disease we found respiratory distress in 5 patients, permanent myopathy in 1, electrocardiographic abnormalities during crises in 4; death during paralysis occurred in 2. Therefore correct diagnosis and immediate treatment are crucial." Cardiac arrhythmias in hypokalemic periodic paralysis: Hypokalemia as only cause? Muscle Nerve. 2014 Sep;50(3):327-32. doi: 10.1002/mus.24225. Epub 2014 Aug 12. A few weeks ago I had to wear a heart monitor for two weeks. I finally got the results of it, (ZIOxt) and was not surprised. I have previously been diagnosed with several different arrhythmias. This time two new ones showed up. I had 11 episodes of Supraventricular Tachycardia (SVT). The longest run was 14 beats. I also had what the doctor said was worse than SVT...***Ventricular Tachycardia*** (VT). The other things that showed up have been recorded previously but no Long QT showed up and there were no Sinus Pause/Arrest with Atrial Escape episodes that showed up like that night in the ER (thank goodness)...so now we know that it was most likely caused by the drugs given to me that night in the ER as we had expected. I wanted to share these results for a few reasons…to warn once again about the issues of taking drugs...even in an emergency situation. Much thought must be given to the serious effects they can cause those of us with PP/ATS. I am lucky the atrial part of my heart worked as the pacemaker that night or I would not be here today. The other issue was that as I was researching what these particular arrhythmia mean, I was reminded in my research that these heart issues/irregular beats are the direct result of the PP. ....But in most cases ventricular tachycardia is caused by heart disease, such as a previous heart attack, a congenital heart defect, hypertrophic or dilated cardiomyopathy, or myocarditis. Sometimes ventricular tachycardia occurs after heart surgery. Inherited heart rhythm problems, such as ***long QT syndrome*** or Brugada syndrome, are rare causes of ventricular tachycardia. ***Some medicines-including*** ***antiarrhythmic medicines***, which are used to treat other types of abnormal heart rhythms-can cause ventricular tachycardia. ***Less common causes include blood imbalances, such as low potassium levels and other electrolyte imbalances****." My warning is this: ventricular tachycardia is related to electrolyte imbalance...at any time VT can turn into Ventricular Fibrillation, which can be fatal. We need to do everything we can to avoid episodes...to avoid the heart issues. We need to stay in balance in all ways. Change our diets as necessary. We need to know what our triggers are and avoid them, including most drugs, exertion, etc. PP can be fatal and has been for many people before us, including some members of my family. My own great uncle died at 41 during an episode. If we manage our symptoms well, stay balanced in all ways, etc., we can live longer with a better quality of life but PP can be fatal and we need to understand that. Anytime we go to the ER, hospital, have an IV, use anesthesia, provoke our symptoms to get diagnosed, take drugs, do medical testing, have a colonoscopy, have surgery, are given MRI contrast, have medical procedures, swim alone, over do physically, push ourselves, do not eat right, get ill, get stressed, and more, we risk death by going into a paralytic episode which can affect our heart, breathing, breathing muscles, oxygen levels, cause choking and lead to death. Hypokalemic periodic paralysis is a rare genetic disorder characterized by recurrent attacks of skeletal muscle weakness with associated hypokalemia which is precipitated by stress, cold, carbohydrate load, infection, glucose ... Provocative testing can be dangerous and is not a favored first-line method of diagnosis. Apr 21, 2008 - Provocative testing can be dangerous and is not a favored first-line method of diagnosis. Potassium challenge tests risk hyperkalemic arrhythmia, even in an acute care setting. ... Both hyperkalemic and hypokalemic periodic paralysis can present with normokalemia during attacks. 25 new members in one month!! 750 members now!! 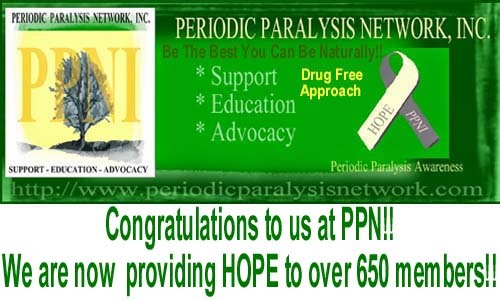 We at the Periodic Paralysis Network are now providing HOPE, SUPPORT, EDUCATION and ADVOCACY to over 750 members worldwide!!! We added over 25 members in the past month!! A record for the PPN!! 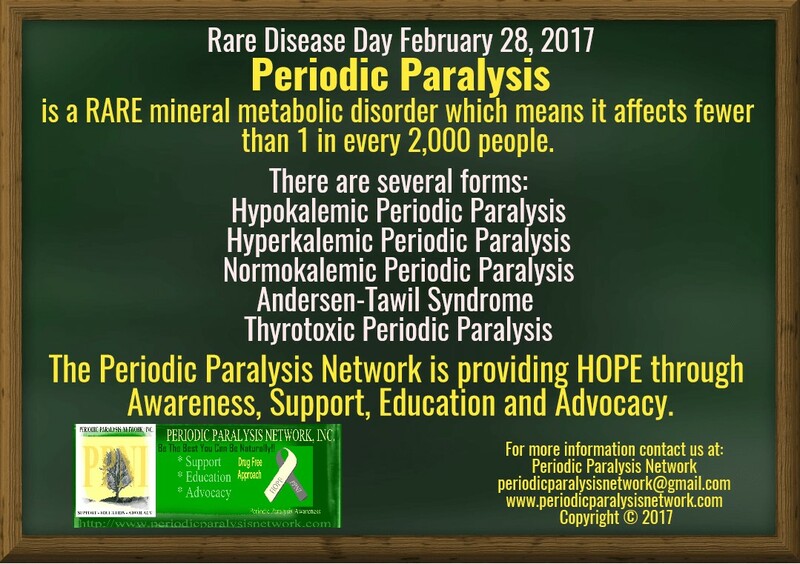 We at the Periodic Paralysis Network are now providing HOPE, SUPPORT, EDUCATION and ADVOCACY to over 725 members worldwide!!! We have over 140 blog articles written about all aspects of Periodic Paralysis.The Blog was created to provide information to all of our members, as well as, family members, friends and medical professionals who want to know more about Periodic Paralysis. How Many People Really Have Andersen-Tawil Syndrome?? More than 100!! Twice in the past week I have seen the inaccurate statement about only 100 people in the world having Andersen-Tawil Syndrome (ATS), the most severe and the most rare form of Periodic Paralysis. First, I read an article published just this week about a father and daughter who have Andersen-Tawil Syndrome and they explain that they are two of those 100 people! Then a few days later I received a request from someone who wanted to join our Support Group. This person is not diagnosed, but suspects the possibility of ATS and shared this with a doctor. The doctor had never heard of it and did an Internet search on a site only for doctors. He told her that she may be one of only 100 people in the world! This information is old, archaic, out of date, misleading and just not correct. ATS is indeed very rare and there are few people in the world with it, but there are definitely more than 100 people who have Andersen-Tawil Syndrome. For instance, in France alone, a study was done on people with ATS. Actually, 36 women, from 20 different families, from only 9 hospitals in France and who were diagnosed as carriers of KCNJ2 mutation, took part in the study. That equals 36 people out of 100 who have ATS in just one part of France. I imagine that each of those women had family members with it also...parents and children...so that would bring it up to at least 72 if there is at least one child per family and add the parent that passed it to them...that would be at least 108 cases!!!!!! That would be the least amount among those women. "We conducted a retrospective multicentre study in nine French hospitals. Patients were recruited only if they were KCNJ2 mutation carriers. Thirty-six patients (female n = 22, 61%) from 20 unrelated kindred ..."
There are people all over the world with ATS and each person has at least one parent with it (there may be a few spontaneous cases) and probably siblings and children. This is definitely more than 100 in the world. We know now that ATS is also caused by the KCNJ5 mutation. These individuals must be figured into the equation too and about 50% of those who have ATS symptoms and a clinical diagnosis do not have a genetic mutation and are therefore not included in the count either. Someone asked me, not long ago, if I knew how many people worldwide have Periodic Paralysis. I did not have an answer so I had to research it. The following is my best "estimation" based on the information I was able to find. Orphanet, a consortium of European partners, currently defines a condition rare when it affects 1 person per 2,000. They list Hypokalemic periodic paralysis as a "rare disease". 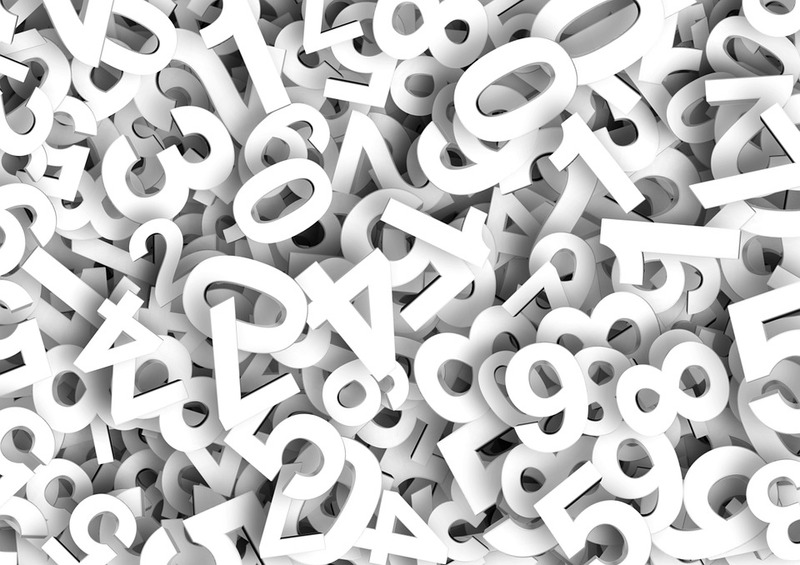 According to this, in the United States there are 4,084 people with Periodic Paralysis. I assume documented, genetically confirmed cases. 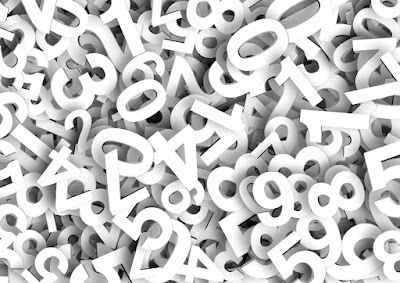 But this does not account for those of us who are not genetically diagnosed and these numbers only account for the cases in the United States. 10,600=cases of documented, genetically diagnosed people in the world have Periodic Paralysis. But about 40 to 50% of individuals with Periodic Paralysis have no known genetic mutation, so that number should be about double. So my best calculation, based on the above information, is that 21,200 people worldwide have Periodic Paralysis! This includes at least 200 for ATS! But, this estimate is very conservative. I am sure it may actually be a much higher incidence due to misdiagnosis and under diagnosis. Research would indicate that 200 cases is not even close to the number who actually have ATS in the world. For instance, recently, some people in our support group received the results of genetic testing. One woman believed she had Periodic Paralysis. Several of her family members were diagnosed with Fibromyalgia and were content with that diagnosis. Just to humor their relative, they also had genetic testing done. ALL of them turned out to have the same genetic mutation for a form of Periodic Paralysis. This woman had been told two months ago, by the most prominent specialist in the world for Andersen-Tawil Syndrome in Rochester, New York, after traveling at great expense across the country, that she DID NOT have Periodic Paralysis. Those three individuals would not have figured in the statistics, but now will be counted. This is just the tip of the iceberg!!!!! I believe that the number of individuals with Periodic Paralysis around the world is closer to 50,000 at the very least, but probably many more. And this is true for ATS…well more than 200! Andersen-Tawil Syndrome (ATS) is the most rare form of Periodic Paralysis. It accounts for approximately 10% of all periodic paralysis cases. It is characterized by three particular components: periods of paralysis from high, low or normal potassium levels, distinctive craniofacial and skeletal characteristics and long QT interval heartbeat with a predisposition toward life-threatening ventricular arrhythmia. However, affected individuals may express only one or two of the three components and they may be very subtle. Other characteristics and abnormalities are also associated with Andersen-Tawil Syndrome. Although these characteristics are associated specifically with Andersen-Tawil Syndrome, in a survey of several hundred people with all forms of Periodic Paralysis, results for this category were very surprising. The majority, 92% of the members, reported at least one ATS characteristic despite the fact that only two members were diagnosed genetically and two members were diagnosed clinically. The majority of these characteristics were related to the fingers, toes and facial features. Many of the members shared photos of these anomalies. The photos were stunning. Compared to the photos in the medical journals, our members had much more pronounced curved little fingers and webbed 2-3 toes and craniofacial features. These findings could not be dismissed as a coincidence. There is a strong possibility that many of the ATS characteristics are quite possibly also seen in the other forms of Periodic Paralysis. Is it possible that these features or traits may have been overlooked in the previous research of patients with other types of Periodic Paralysis? For this reason, we conclude these traits or characteristics are possibly more in-depth complications and they may be added to the list of symptoms and characteristics for clinically diagnosing all forms of Periodic Paralysis. This may be essential due to the complications some of these features, like scoliosis, dental anomalies, joint laxity, small jaws or issues with executive functioning may pose. And so, the information about Andersen-Tawil Syndrome on the Internet needs to be changed to reflect what the truth really is about how many people actually have it. It is rare, yes, the most rare of the forms of Periodic Paralysis, but only 100 cases in the world??? I think not. There are more than 100 cases of ATS alone in France!!! What about the numbers of cases in the rest of the world??? This also demonstrates that most of the information that doctors are finding in their research on the Internet, especially about Periodic Paralysis, is probably also misleading and why we have such a difficult time with being diagnosed. If we can keep our bodies in balance, we can minimize our symptoms and improve our quality of life. It is a constant battle and not easy but the results are well worth it. We can be the best we can be, naturally, by following the above ideas. We equate it to constantly walking a tightrope. This form helps to monitor the above issues in order to stay in balance. For those of us with the varying forms of Periodic Paralysis (a mineral metabolic disorder, also known as an ion channelopathy,) the cause is almost entirely/exclusively genetically related. Secondary causes, in my mind, do not exist but others believe they do. I believe that those people actually have/had the genetic mutation but nothing introduced in their life set it into motion until the vaccination, illness, toxic exposure or more that they believe caused it. Those things are/were triggers that set symptoms/paralysis into motion, but the predisposition, a genetic mutation, was already there (inherited, we are born with it). As far as I know, there is no proof that there are secondary causes for PP. There are definite genetic mutations related to the known forms of PP. There are several other medical conditions called 'differential diagnoses' that have similar symptoms like Sjogren's, Bartter Syndrome, Conn Syndrome, Multiple Sclerosis, Hyperaldosteronism and these must be ruled out before a diagnosis is confirmed. Periodic Paralysis is far too rare to just happen due to exposure to something. My other thought is that it really is not Periodic Paralysis unless it is genetic, although only 50% of the mutations have been found and may never be found in this lifetime. Symptoms may be similar but it is not PP unless there is a genetic component, whether it has been found or not. So in my belief, due to my research, PP is not secondary to anything. There are many triggers, however, that may set a predisposed PP into motion. Vaccination, illness, toxic exposure, drugs of all kinds, infectious diseases, IV's, anesthesia, steroids and so much more may be the initial trigger for the first episode/s and symptoms, but they are not the cause....not for true Periodic Paralysis...The only cause of Periodic Paralysis is a genetic mutation (whether it has been found or not). Hypokalemic Periodic Paralysis is caused by abnormalities in the SCN4A, KCNJ18 and CACNA1S genes. Hyperkalemic Periodic Paralysis is caused by abnormalities in the SCN4A gene. 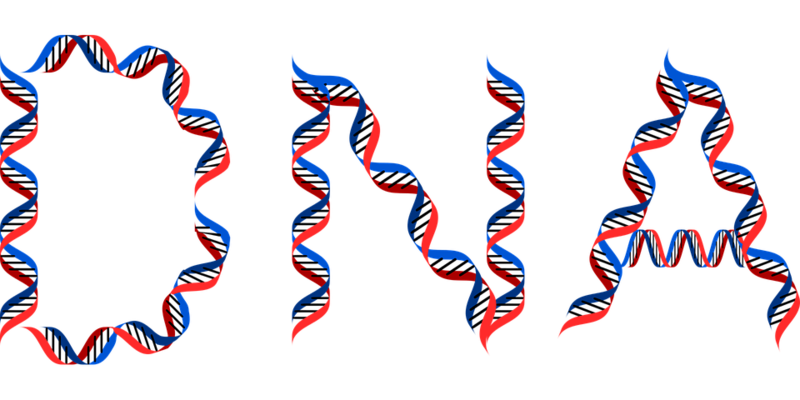 Andersen-Tawil Syndrome is caused by abnormalities in the KCNJ2 gene and the KCNJ5 gene. Normokalemic Periodic Paralysis is caused by abnormalities in the SCN4A and CACNA1C genes. Paramyotonia Congenita is caused by abnormalities in the SCN4A gene. If genetic testing that is totally unbiased and unlimited is negative for PP it only means that the form that person has, has not yet been discovered or recognized. It does not mean that they do not have PP. I do not do this very often but I feel the need to bring this issue to the attention of all those seeking genetic testing for Periodic Paralysis from a pharmaceutical company who is offering it "free," before you see it somewhere else or in case you have already seen it and are planning to take the test or just wondering about it. PLEASE BEWARE!!! There are several issues that you need to be aware of before you contact this company (Strongbridge...see link at bottom) for "free" genetic testing. This company is a 'Big Pharma' company who took over the sales of the latest carbonic anhydrase inhibitor drug that is offered for treating Periodic Paralysis. They are offering 'free' DNA/genetic testing for Periodic Paralysis. They are offering the testing in order to be able to then get you on the drug if you are diagnosed, so they can make the big bucks after charging you or the insurance companies an arm and a leg for a drug that takes a few cents to make. Another important point to know about this testing is that it is very limited...only CN4A, CACNA1S, and KCNJ2 will be tested for...leaving out a significant amount of the actual forms that have been discovered so far. This means that it is biased and limited. Up until now only about 50% of the forms of PP have been discovered....so this means that a person has a very slim chance of this testing revealing a form of PP!! Once you do the testing and the results are negative, the doctors who do not understand this information will then declare that you do not have PP and/or the 'conversion disorder' diagnosis usually follows. So if you have a 'clinical' diagnosis, based on your symptoms, it is best to stick with it and avoid this testing or any other DNA testing (they are all limited and biased)...rather than to risk losing your diagnosis. This has happened to many of our members. This PPN group is a Support, Education and 'Advocacy' group. This means, besides providing support and sharing information, we also do what we can to keep you safe in all ways. Therefore we advocate for and discuss only all natural ways to manage your symptoms. We cannot advocate for anyone to safely take any drugs, including the carbonic anhydrase inhibitors with what we know about them and what we understand about PP (a mineral metabolic disorder). Nor do we want to be held responsible legally for advocating for them here. We are not doctors nor do we have doctors associated with us, so we cannot discuss drugs in specifics (such as types or amounts, etc.) or tell anyone to take a drug. Please understand that. We can and do, however, provide the information for you to make informed decisions for yourself, which is what we are doing here. Hopefully, you can see the complete picture now and after reading the following information I am sharing, before you make any decisions to follow through with this company. Please read the following Blog Article with links to other Blog Articles and medically related articles discussing these drugs. "New" Drug For Periodic Paralysis $163.80 For One 50mg Tablet!! When asked the question, “What is something that encourages you to keep fighting, despite having, a chronic illness that left you hopeless?” I was eager to answer by telling my story. In terms of my life with Andersen-Tawil Syndrome a form of Periodic Paralysis (PP), which is a very rare, debilitating metabolic chronic illness, many doctors, including the specialists, have told me that there is nothing they can do for me. I can take no medications, have no surgeries and I am in a gradually declining physical state. I lost all hope 7 years ago. I would be dead now if it were not for my husband, Calvin’s research and fight for the things that now keep me alive and are giving me a better quality of life. He found that preparing and feeding me a pH balanced diet with needed supplements, providing me with oxygen therapy, helping me to discover and avoid my triggers, sheltering me from stress, keeping me hydrated, monitoring my vitals and remaining optimistic brought me back from the brink of death and reduced my paralytic episodes from 4 or 5 full body attacks a day lasting several hours at a time to 1 or 2 less severe episodes every few months! He had hope. He had a desire that things would turn out for the best. He was correct in what he did and how he did it and was optimistic that I would get better. He maintained hope that I would improve in all ways and the truth is that I did. Since that time, because of his hope and optimism, we now have written four books and have created a forum to bring hope to others with Periodic Paralysis. We have a Support, Education and Advocacy Group, and several discussion groups. We have a blog with over 140 articles related to PP, a Facebook Page, and over 150 files filled with information to help others to manage their symptoms and improve the quality of their lives. Although I remain in a continual gradual decline, due to several wrong diagnoses, improper treatments and wrong medications over 62 years, which all caused permanent damage, I know that most everyone else with Periodic Paralysis will not end up like me. I am encouraged and keep fighting for the members of our forum all around the world and those who will become our members in the future to provide them hope for a better quality of life through managing their symptoms with all natural methods. I remain hopeful that those with all forms of Periodic Paralysis can follow the all natural plan laid out in our books, improve their conditions and live a much more normal and productive life. I remain hopeful and optimistic because I see it happening everyday to the people in our PPN Support Group and to those who are reading our books. We share our knowledge and experience and everyday we see and hear about the lives being changed for those who are willing to make the lifestyle changes. It is not an easy path for us. We must walk a constant tightrope and remain totally balanced, but we do not give up hope. For these reasons, I create posters with the word “hope” and share them daily on our PPN Support Group and our PPN Facebook Page. Now providing HOPE, SUPPORT, EDUCATION and ADVOCACY to over 700 members worldwide!!! 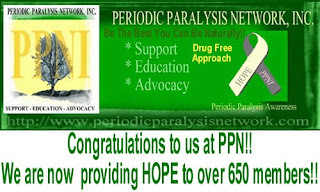 We at the Periodic Paralysis Network are now providing HOPE, SUPPORT, EDUCATION and ADVOCACY to over 700 members worldwide!!! Yesterday I received a surprise in the mail. I received a letter and small gift from Global Genes, a leading global rare disease advocacy organization. I had been nominated for being deserving of recognition of extraordinary efforts in rare disease (Periodic Paralysis)!! I did not win the RARE Champion of Hope award but I was recognized with a token (a book mark) as a 2017 nominee. I want to thank whoever it was that nominated me. Thank you so much. I was very surprised and humbled by this. It was great to have AWARENESS brought to Periodic Paralysis!!! Providing HOPE, SUPPORT, EDUCATION and ADVOCACY to over 650 members!! Congratulations to us at the Periodic Paralysis Network Support, Education and Advocacy Group...We are now providing HOPE, SUPPORT, EDUCATION and ADVOCACY to over 650 members all over the world!! Yesterday was Periodic Paralysis World Awareness Day. One of the best ways we can make people and doctors aware of the various forms of Periodic Paralysis is to share our latest book with them. I wrote it for this very reason. The first two books were written to help you understand PP and manage your symptoms...to "be the best you can be" and to be able to get a diagnosis. The 'Bill of Rights' book is to help to empower you as you deal with the medical professionals in your life...to know your rights as they try to take them away from you or intimidate you. The fourth and final book "What Is Periodic Paralysis? : A Book Like No Other" was written to share with all of those people in your life who need to know about and understand PP and how it affects you. It was designed to be personalized by you...there are places for you to fill in your own information if you want to share it...how it affects you personally (This is also the way the Workbook was designed). Proceeds from the book...a few dollars each...goes back into our organization....to help run our organization and to purchase books for those who cannot afford them or passing them along to doctors, etc...for awareness and education. PPN Sixth Anniversary of Providing HOPE!!!! 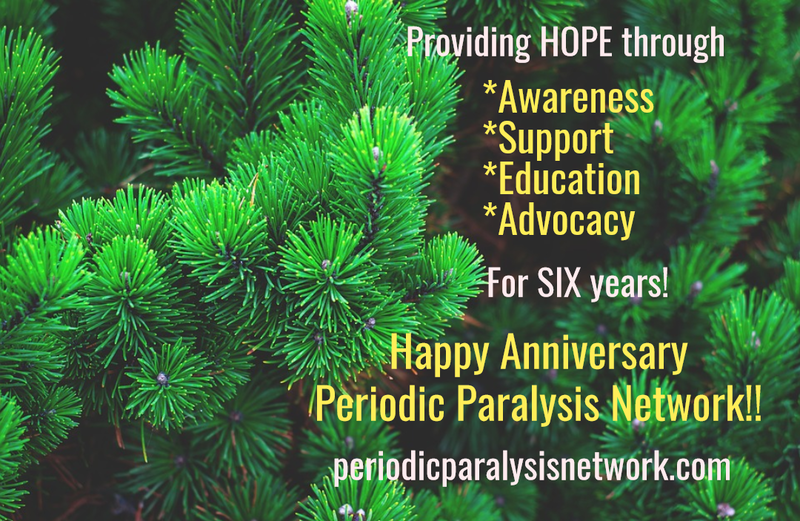 Today is the Sixth Anniversary of providing HOPE to those with Periodic Paralysis through our Periodic Paralysis Network. It is also 'Periodic Paralysis World Awareness Day'... Six years ago today I (Susan Q. Knittle-Hunter, PPN Managing Director) got my Andersen-Tawil Diagnosis after nearly being killed by my doctors. It took me over 50 years...so a day of celebration!!!! Providing HOPE to over 625 Members Now!!! 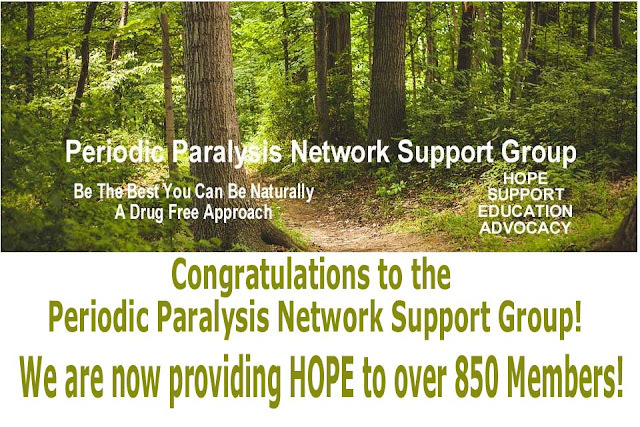 Congratulations to us at the Periodic Paralysis Network Support, Education and Advocacy Group...We are now providing HOPE to over 625 members all over the world!! Bringing Hope To Over 600 Members Now! !